At Berman Cosmetic Center, it is our goal to deliver the most innovative products and treatments for our patients. After years of research and thoroughly understanding what our patients want from their skincare products, Dr. Berman has launched his own professional skincare line catered to completely addressing all of your skincare needs. Let us help you love the skin you are in! Our Clarifying Brightening Polish refines skin gently and effectively. It works in harmony with skin to accelerate its natural renewal process. This rich, creamy formula mildly cleanses skin without stripping it of its natural moisture content. This brightening and hydrating vitamin C serum delivers skin enhancing benefits of pure, stabilized L’ascorbic acid and tetrahexyldecyl ascorbate, in combination with vitamins E, arbutin, bearberry, emblica, ubiquinone, to achieve improved skin texture and tone result-ing in healthier looking skin. Focusing on delivering optimal results, this eye repair cream is the solution for under eye dark circles, puffiness and to reduce the signs of aging. 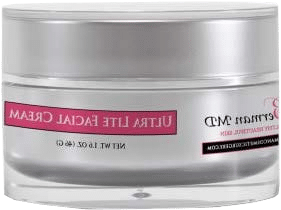 This formulation combines All-Trans Retinol , green tea, arnica, and vitamin K along with a system of chelators and peptides to deliver maximum results. Pure, ultra hydrating serum quenches dehydrated skin for a supple, smooth complexion and all day moisture retention. Visibly reduces the signs of aging with a nourishing blend of antioxidants and humectants. 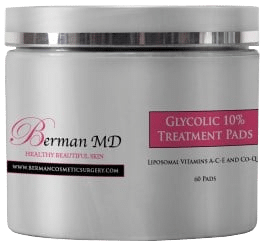 These glycolic pads are convenient and easy to use as they gently exfoliate , moisturize and assist in the removal of excess oil and residue on the skin. The product also contains antioxidants to deliver additional skin enhancement benefits. An elegant facial moisturizer with antioxidants that is recommended for all skin types. This next generation BB cream pro-vides superior broad spectrum SPF 50+ UVA/UVB protection with skin perfecting tint that reduces the signs of aging and evens skin tone. Worn alone or under foundation , this matte finish multi–tasking formula provides all day oil control , antioxidant benefits and gentle hydration for even the most sensitive skin. Both salicylic USP and glycolic acid are used in combination for this body acne spray. Easy-to-use, omni directional sprayer allows product to be applied to hard-to-reach areas . Spray is ideal for back and body acne. **We also make hydroquinone for patients who desire or require it.